When most people imagine what their trip to Greece will be like, they picture themselves sitting by the water at a beautiful beach, shopping, eating Greek cuisine, and enjoying the nightlife. 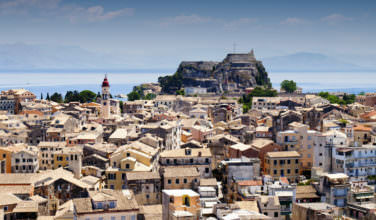 However, Greece is a premier destination for outdoor enthusiasts, as well. In fact, besides typical activities such as hiking and rock climbing, Greece is also a favorite amongst diving enthusiasts. In fact, Greece is considered one of the best places for a diving vacation. Greece has a lot of islands, and around 240 of them being inhabited. There are so many great place to dive it can be hard to narrow it down! Here’s a rundown of some of the places you absolutely shouldn’t miss! There is a rich history of diving on the island of Kalymnos because of its sponge fishing trade. Unlike fishing, sponge fishermen need to dive in the water and physically harvest their own product. The waters, however, have been severely depleted. Islanders who wanted to continue the trade of their ancestors have since moved to other places, such as Florida, where the waters weren’t over-harvested. However, there is still an active diving community and it is a great travel destinations for SCUBA enthusiasts. Mykonos is part of the Cyclades group of islands in the Aegean Sea. Even though Mykonos is most known for its nightlife, it’s actually considered one of the best destinations in Greece for divers. Aside from being able to view some impressive sea life, there are also many caverns to explore and also a must-see shipwreck from the 1930’s. The Peloponisos wreck, aside from being fun to observe as a ship, is also the home to a lot of sea life. If you love wreck diving, Naxos has two that are worth seeing – the Beautifier Wreck which is a torpedo bomber from World War II and an Arado 196 German Seaplane, which is also from World War II. In addition, there are plenty of underground caverns to explore, each of which houses a good variety of sea life. When you’re not diving, it’s fun to explore the other aspects of the island, such as its many villages and beaches. Santorini is a fairly unique island because most of the buildings and inhabitants are concentrated to the upper rim of the dormant volcano. After a major eruption in ancient times, the center of the island actually collapsed. Many believe that it was the Lost City of Atlantis. 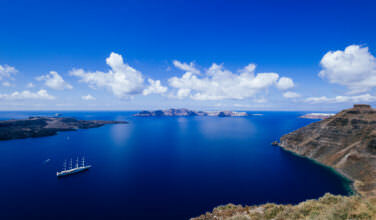 As a result of this rich, volcanic history, diving in Santorini is truly memorable. The island also has a rich, underground network of caverns where plenty of sea life live. If you dive at the Nea Kameni, you’ll also be able to see a small shipwreck. 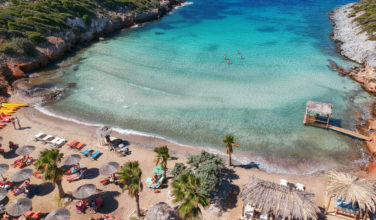 As the biggest island in Greece, Crete is an ideal destination. Travelers are treated to a diversity of activities. There are a few larger cities, like Heraklion and Chania, which have an impressive amount of nightlife, restaurants, shops, and museums. There are also plenty of outdoor activities such as hiking and rock climbing. 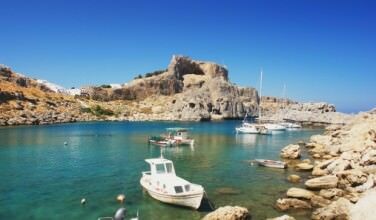 Divers especially love Crete because there several great dive locations to explore. The Messerschmitt Wreck is a German fighter plane from World War II that is impressively intact. If observing sea life is your passion, be sure to visit the El Greco Cave and Daedalos, which is great for beginners.